This is a guest post by FBS Benefit Consultant, Richard Peace. 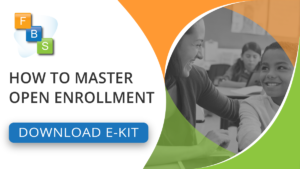 Whether you are about to open your enrollment season at work or you are wrapping up your post-enrollment checklist, it is never too early or too late to start thinking about how best to equip and empower your employees to make educated decisions about their benefits. If you are the benefit administrator for your group, you are probably one of the few people that knows what your insurance plans cover and what they cost. Do you know how to impart that knowledge to your employees? Do you know how best to explain the policies and help them decide if a plan is right for them? 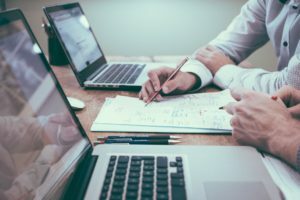 You and your Third Party Administrator (TPA) or insurance broker have found the best possible combination of coverage and premiums, but the employees do not see that balance. Many times they base their decisions purely on the premium amount, but what if you could get them past that barrier? Helping an employee understand the coverage and how it applies to their lives should be a key goal in your educational efforts. This will help them decide if the coverage is right for them. For example, a single 35 year old man with perfect vision may not need to spend $5-10 per month on vision insurance. However, since his mother and several other members of his family have had cancer, it may be in his best interest to put that money toward the cancer insurance offering. Taking the time to educate this employee on his benefits and assess his situation will lead him to make an informed decision about his coverage that weigh the cost against the value. Diversity strengthens your company as a whole, but can prove to be a challenge in your benefits education efforts. Your diverse workforce absorbs information in many different ways. The language barrier is one of the most common challenges. Many TPA’s and even some insurance carriers do not provide bilingual support to aid employees who need that extra step. While they may have the plan summaries available in Spanish, it does not help them truly understand the benefits because much of the verbiage does not translate well. Another challenge many groups face is a generational one. Sometimes it is easy to forget not all of your employees want to watch a 2-minute video about benefits or attend an hour long seminar. Because you have a diverse workforce, you need to diversify your educational materials. Detailed plan summaries, benefit meetings, and one-on-one meetings are great for employees that need a hands-on approach to education. Many of your younger millennial employees would rather do it themselves, but still want you to be available to answer any questions or double check what they have done. These employees may want short videos, single page flyers, and to be able to do everything on their phone. How are you supposed to meet the educational needs of all your employees? There is good news: Your TPA can equip you with all the educational tools and resources you need. They can provide you with flyers, posters, videos, brochures, and even websites to help explain the value of employee benefits throughout the year. During your enrollment season, they provide help with bilingual group meetings, one-on-one benefit enrollers, a mobile enrollment app, and a support staff all designed to help employees understand their benefits without trying to push them into purchasing a policy they do not need or cannot afford. 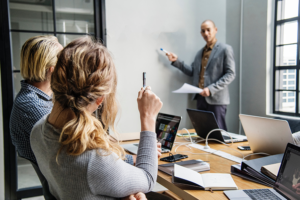 Employee benefits are designed to better the lives of your workforce, but these benefits can only help if your employees know what they are purchasing with those payroll deductions. If you feel you are lacking the resources you need to educate your employees on their benefits or want to explore how FBS can help enhance your current system, contact us to speak to a consultant.